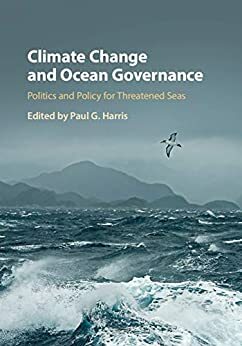 Climate Change and Ocean Governance brings together authors from political science and cognate disciplines to examine the political and policy dimensions of climate change for our oceans. The environmental, social and economic consequences of oceanic change present tremendous challenges for governments and other actors. New and innovative policies for governing oceans and seas - and for managing vital marine resources - have never been more important. Existing national and international institutions for marine governance that were created when oceanic conditions were relatively static may not be adequate for a future characterized by continuous oceanic change. Responses to oceanic change will result in winners and losers, and thus will involve politics in all its manifestations. This book reveals the unavoidable connections between climate change, the oceans, and questions of governance. It provides valuable lessons for researchers, policymakers and activists concerned about governing oceanic change into the future. The oceans are changing, and innovative policies for governing them and managing marine resources have never been more important. This book reveals the unavoidable connections between climate change, the oceans, and questions of governance. It offers important lessons for those who care about the future of our oceans.